Behavioral techniques used in animals to model human diseases and predict effects of novel drugs are as varied as the numbers of scientists who use them. 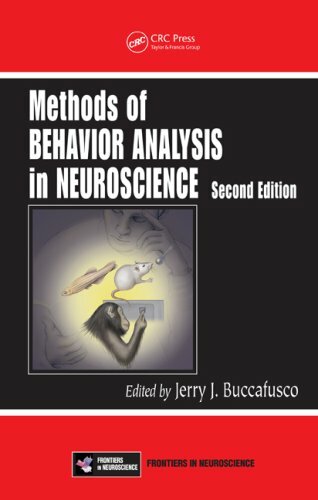 Consequently, behavioral analysis is becoming an increasingly indispensable tool for the neuroscientist as information gained at the molecular and cellular level is put into practice in fully behaving animal subjects. This introduction to spiking neurons can be used in advanced-level courses in computational neuroscience, theoretical biology, neural modeling, biophysics, or neural networks. It focuses on phenomenological approaches rather than detailed models. The book provides a thorough analysis of the state-of-the-science in olfactory knowledge. Authors explore various aspects of olfaction, including genetics, behavior, olfactory systems, odorant receptors, odor coding, and cortical activity. Introduction to computer modeling of the brain, to understand how people think. Networks of interacting neurons produce complex emergent behavior including perception, attention, motor control, learning, memory, language, and executive functions. The origin of the human mind remains one of the greatest mysteries of all times. The author offers an elegant, parsimonious theory of the evolution of the human mind and suggests experiments that could be done to refute or validate the hypothesis.